Address: Balhannah Junction Shopping Centre, 84 Main Road, Balhannah. The Olive Branch Cafe believe great food should be a feast for the senses. They source the majority of their fresh food locally from the Adelaide Hills. The food here is certainly delicious! They serve breakfast every day until 3pm, plus lunch daily and dinner on Friday and Saturday. Your biggest problem will be deciding what to order as there are so many tempting dishes to choose from. There is a great kids menu with lots of fun and healthy options and all are very reasonably priced. You could try the lunch bag which includes a sandwich, piece of fruit, sweet treat and a juice box. Or perhaps your little ones would like the veggie sticks with dip or the strawberries with yoghurt. They aim to cater for all dietary needs and each dish has an easy to understand dietary code making it simple to choose suitable dishes. If your special needs aren’t catered for please tell the staff and the chef will happily prepare something especially for you. Gluten free & dairy free diets are extremely well catered for here. 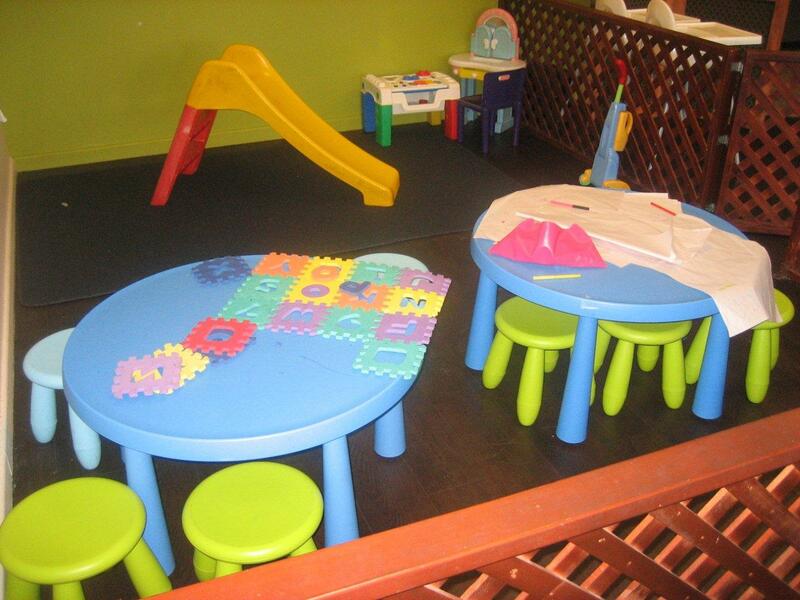 For the kids there is a fantastic enclosed play area with tables and chairs, colouring in pencils and paper, lots of toys, books, a slide, a play vacuum cleaner and a baby walker. And if your kids are playing happily in the play area, there are plenty of magazines and newspapers for the adults to sit back and relax with. Another reason to visit (as if you need more!) during school term every Tuesday morning is ‘Crafty Kids Morning’ for preschoolers. These run from 9.45am to 10.30am and 10.45am to 11.30am and are $7 per child. They have different activities each week, for example: ‘Playdough day – make a fresh batch of warm playdough and add colours, glitter and scents. Take your own container full home’ or ‘Make rocky road with chocolate, marshmallow, biscuits and other yummy things’. In the school holidays on Tuesdays and Wednesdays they run fun cooking classes for ages 4 to 12 from 10am to 11am. These cost $15 per child. Bookings are appreciated. Another point worth mentioning is that The Olive Branch Cafe is accredited with the Breastfeeding Friendly program. We highly recommend a visit to the Olive Branch Cafe. You could make a day of it and include a visit to Cleland Wildlife Park on the way or spend some time enjoying the wonderful shops in Hahndorf or visit some of the nearby Hills wineries.